When observing the media analysis of such rhetoric, you always see a mix of embrace and cynicism. The latter being the ‘mainstream’ news titles, and the former (invariably) being technology press. Reflect back on the launch of the iPod, and you will see similar conflicting attitudes, but it would be difficult now for any commentator to argue away the impact iPod has had on the way in which people consume music and other forms of digital media. The truth of the matter is, that ‘game changers’ are not quite what we would expect, and to understand what it takes to be a ‘game changer’ we must first understand what we refer to as ‘the game’. In the overwhelming majority of cases, people would assume a game changing technology is one which sells a lot of units, and captures market share for a particular category (such as windows, as an operating system), changes the way in which a particular ‘process’ is performed (such as digital technology for photography) or is a massive disruptor (such as mp3 for music). Reading the press, you see analysis really focussing on these sorts of factors, discussing how the iPad will be a game-changer for its ability to change the way we consume books, browse the web, and more. These tend to be economic factors, and are ultimately geared around market share and control of a specific category. Looking deeper, while these analyses are valid (insofar as the iPad probably will change the way some consume books, and the iPod has changed the way that many consume music) there is an underlying ‘macro-trend’ which is far more pervasive as a driver for change. What analysts mean by ‘game changing’ is, in fact, the level of naturalisation of technology. 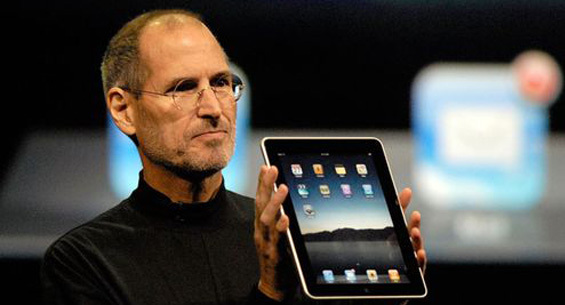 This is the degree to which a technology becomes an intuitive part of human life. Generation 2 (Next) – This is the generation who, relative to t(0) are currently in the 0-20 age band. What we see (which we can test observationally from our own society) is that as individuals move through their lives, their level of naturalisation increases, but because of how technology is introduced, and how we consume habitually (i.e. we are used to doing something a certain way, such as reading from books) the level of naturalisation, relative to the previous generation peaks, and then as we get older, declines. The interesting part of this can be seen when we consider the generation(s) that follow ours (the incumbents). Technology now penetrates lives far more quickly, meaning that as children are coming through school systems around the world, it becomes intuitive for them to consume knowledge and music completely digitally, and it becomes natural for them to accept social networks, and other means as being ‘the normal’ way to communicate. This sees their naturalisation levels increase much more sharply, and remain higher. Economically, we could consider this as a ‘consumption space’ where the level of intuitive consumption creates demand. For companies like Apple, the vision does not come from understanding how to change the consumption behaviours of the incumbent generation (as in general, they are difficult to change) but to understand what the consumption patterns will be for the generation which follows (and is usually close behind). Apple realise that while many in the ‘incumbent’ generation will be highly resistant to consuming books and knowledge through the iPad (though there will always be adopters of new technology in any generation), the generation which follows (and who are probably now earning enough to become economically viable consumers) will see devices such as iPad as being the standard intuitive way in which information is consumed. For proof of this, one needs to only look at the generation who are currently in their teens, and understand how they consume music, film and news, and how they communicate. 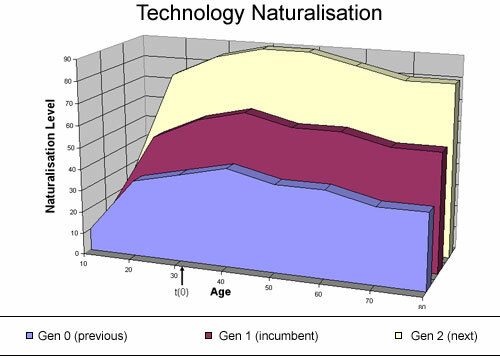 In fact, for many, even ‘mobile phones’ have turned into a ‘portal’ device (from where they use social networks, and consume digital information) rather than being a device from which to make and receive calls and texts; and as this generation move to become the ‘incumbents’ they will take those new levels of naturalisation into the business environment, and the wider economy, and that is when the real exciting ‘game changing’ phenomenon will occur.